The idea that you can crowdsource the city of the future is a pretty compelling one. And the organizers of the popular TED conferences thought so, too. So much so that they awarded their 2012 TED Prize (a $1 million award given for “a creative and bold vision to spark global change”) not to an individual this year, but to an idea called City 2.0. 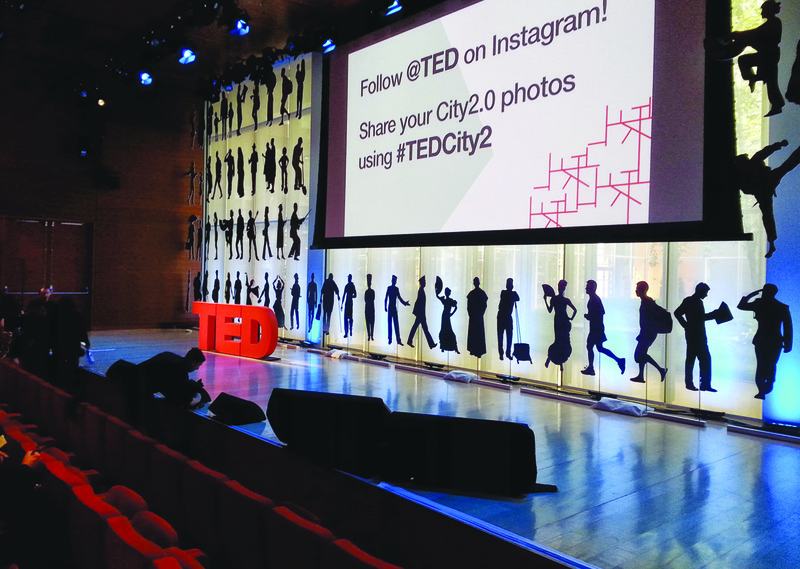 To give its investment broader reach, TED created the City 2.0 platform and inaugural event, Sept. 20, at The Times Center in New York City. For anyone familiar with TED’s conference programs, this event was basically a TEDx. But unlike TEDx events, it wasn’t free. Free access to ideas is a cornerstone of the TEDx brand. And while it’s probably a bit too early to tell what this new, mid-priced event platform might mean, if the world’s most successful not-a-conference takes a new turn, we think you ought to know about it. So to TED we went. TEDCity2.0 was a limited-capacity event in New York City deployed as a hub and spoke experience, with satellite TEDxCity live stream events going on simultaneously all over the world (for about an hour’s worth of the event visit: http://tinyurl.com/mwctv9t). It wasn’t expensive, unlike other TED events, at only $100, but it still had a TED-like exclusive feel because only a few hundred people (relative to its massive anchor events) were there. The TEDCity 2.0 platform is a TEDx underneath, but it’s one that’s endorsed and officially supported by the TED organization as part of the TED Prize program. TEDx events are usually small, free and, aside from signage, hard to identify with the larger TED experience. In fact, there has been some backlash in recent months about TEDx events that have come off as sales seminars to attendees. Shaking off that mantle and bucking against whatever preconceptions there might be out there, TEDCity had the feel of any of the larger, official TED events like TED Live in California. And that’s probably by design—there is a similarly sized offshoot of the TEDx brand called TEDxWomen, and organizers are free to charge up to $100 for those events as well (only certain TEDx events can charge admission and they require prior approval). The TEDTalks were all based on the idea of cities and their denizens, and the day was divided into four substrata of important city themes: Redefining Citizen, Reinventing Urban Experience, Reimagining the City and Redrawing Geographies. 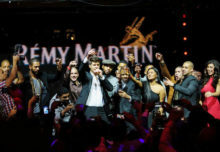 TED brought out the A-listers and big guns to speak to this important issue, including Atlanta, GA, Mayor Kasim Reed, who has revitalized that city in a very short time, brought crime down and drove economic rates up. He talked about how his city has grown and changed and how he’s trying to make it a city that has a future instead of just one with a past. The idea is catching on, too, which is no surprise considering TED’s past success. On the website thecity2.org, hundreds of city-oriented TEDTalks have been posted since the event. The whole thing was a bit circular in its evolution, having grown from a TED Prize into a major thematic direction, but the hub and spoke format of the TEDCity launch day was a powerful and successful one, with many thousands of people watching the live stream on the day and many times that watching the archived version and then contributing videos and TEDx Talks even up to now, and likely for the foreseeable future. As an event that has always made a distinction between its ultra-exclusive events that cost thousands of dollars to attend, and its more accessible TEDx brand that’s free and for the people, deciding to ditch both models for this new initiative takes guts, and those guts seem to be paying off, especially since it still felt exclusive and accessible. At the same time, I don’t think I would have been missing out on anything if I’d been watching remotely, which is almost never the case for virtual, hybrid or live-streamed events and is an accomplishment in an of itself. In short, well done again TED. If the City2.0 is in fact a utopian paradise, I think some of the credit goes to you.